You can call it a hurricane or a typhoon. It doesn't really matter. Hurricane season is upon us once again, with several named storms having already passed through and several more waiting in the wings. You need to be prepared. And it really isn't all that difficult. Having recently moved to Florida from the mid-west, I don't really know what to expect from a hurricane. I have gotten lucky in my time here, so far, in that there hasn't been a major storm event yet. I have seen all the news coverage on various storms, heard all the tales from those that have lived around here, and all that. But, I guess until I experience one for myself, I will never understand. Honestly, I'm a little scared. I have been lucky so far. 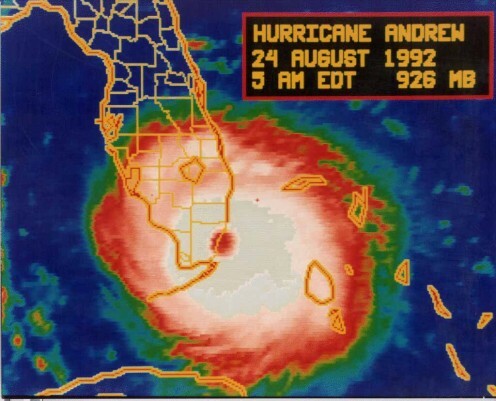 Last year's hurricane season came and went, with little excitement. This year does not seem to hold the same good fortune. So, in an attempt to familiarize myself with hurricanes, and hurricane preparedness, I did a little research. Some of the tips were pretty much common sense. Some, on the other hand, I hadn't really thought about. While this Hub talks about being prepared for a hurricane, some of these tips can be applied to other emergency or disaster situations, from tornadoes, to earthquakes, to severe rain and flooding. Common sense will tell you what tips are useful for what situation. More often than not, you will have ample time to prepare before a hurricane hits, but having supplies on hand at all times will make things far easier for you in the long run, and might even save you some money. Price gouging is illegal, but it does happen. And when a hurricane in on it's way, finding some of the much needed supplies could be difficult. Here are some basic supplies you should have on hand at all times. Flashlights- You should have several working flashlights. Check them every so often to ensure that the batteries are still good, the bulb is in working order, etc. Batteries- In the event of a power outage, batteries are a lifesaver. Keep a good supply of several different sizes of batteries, to power all sorts of things, flashlights, radios, lanterns, etc. 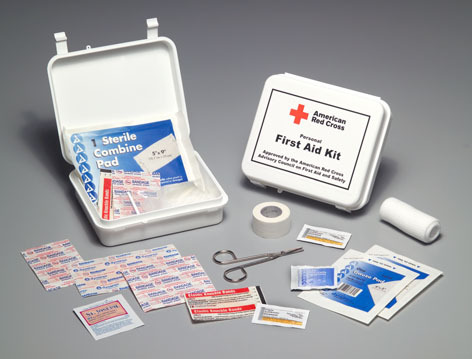 First Aid Kit- You should always have a well-stocked first aid kit on hand at all times. This is especially important in emergency situations such as a hurricane. One of the most common causes of injuries during and after a severe storm, is cut feet. Keeping cuts clean and bandaged prevents infection. Food- Yeah, we all have food in our house, but keeping a supply of non-perishables on hand is a great idea. You are a step ahead of everyone else. The stores will be mobbed with people trying to stock up on canned goods and other non-perishable food items right before a hurricane hits. If you already have some of this on hand, you save yourself the extra work. Don't forget the manual can opener!! 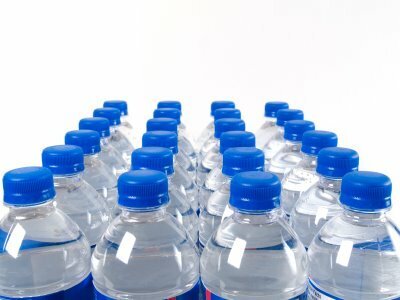 Water- You need to keep a supply of bottled water on hand, as well. You need to plan for 1 gallon of water, per person, per day, for about 5-7 days. That's a lot of water. 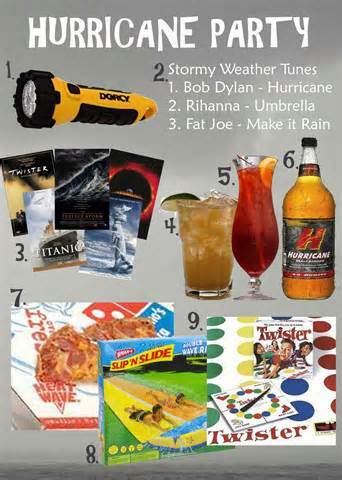 NOAA Weather Radio-- A NOAA weather radio is an essential. It will help you keep track of the storm, tell you when it's safe to leave, and give you important information. Now, as the threat of a hurricane gets closer. There are other things you need to think about. You need to secure your home, secure your belongings, stock up on supplies, gather together your disaster kit, and figure out a family plan. As a hurricane approaches, there are many things you need to do to be prepared. Let's start with your home. 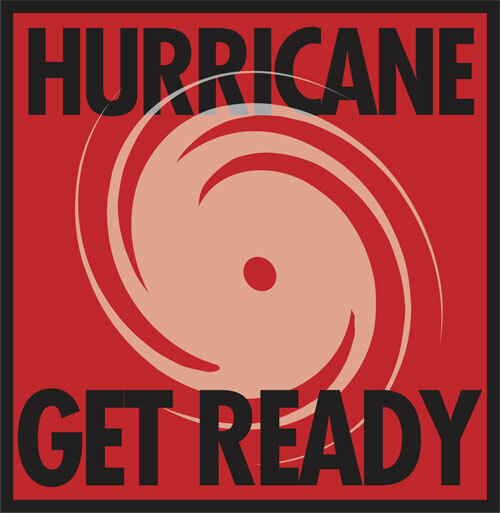 Whether you rent or own a home, live in an apartment, or a trailer, there are things you need to do to prepare for a hurricane. 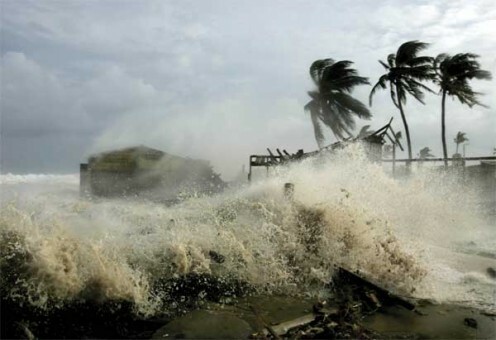 Hurricanes bring rain, high winds, and usually flooding. These are all things you need to think about. Check your insurance coverage. Obviously, this can be done at any time during the year, but it's helpful to double check your coverage to be sure that your home is protected against flood damage. A lot of homeowner's insurance does not cover flood damage. If you are covered, good! If not, you may want to invest some money in flood insurance. Board up the windows!! I'm not even kidding here, people. The easiest way for water to get in to your home and cause damage is through a broken window. 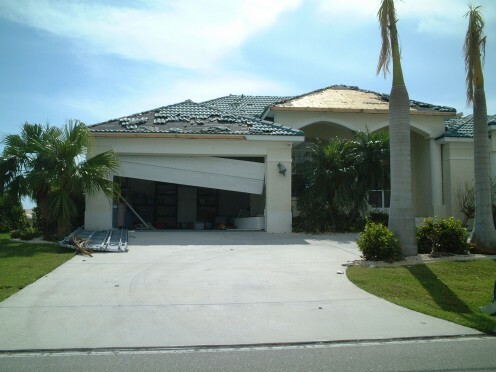 Some people opt for hurricane shutters. This is a good option, but if you rent, or the cost is a bit too much, it might not be the best option for you. Though, if you rent, you may be able to talk your landlord into installing hurricane shutters. A good alternative is sheets of plywood. Nail, or better yet, screw the plywood down over your windows. The point is to protect the most vulnerable parts of your home from damage, and that means covering windows and vulnerable doors, such as sliding glass doors. Tape over any windows that you cannot cover, or that might be less susceptible to damage. That way, if they break, shards of glass don't fly everywhere. Develop a family plan. Locate the safest areas within your home and within your neighborhood for various weather issues. Just like during a tornado, the safest place is usually a basement, or a center room in the house. We don't have basements in Florida, so a center room, or a hallway in the center of the house are your best bet. 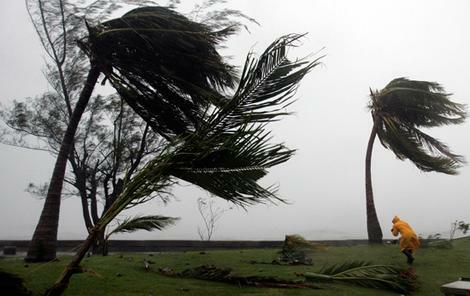 Hurricanes bring strong winds, a lot of rain, and usually some flooding. When it rains, does your yard always flood? Are there a lot of buildings close by that block a lot of the wind? These are things to think about when locating safe places for you and your family. Plan out escape routes in the event you need to evacuate your home or even your town. Areas around here have signs posted for hurricane evacuation routes. Learn them. Keep a list of contact numbers, including a few out-of-state people. Use them to check in and make sure everyone is safe. Don't forget to include your pets in your family planning. Is there a safe place you can bring your pet? Are they small enough to bring with you? 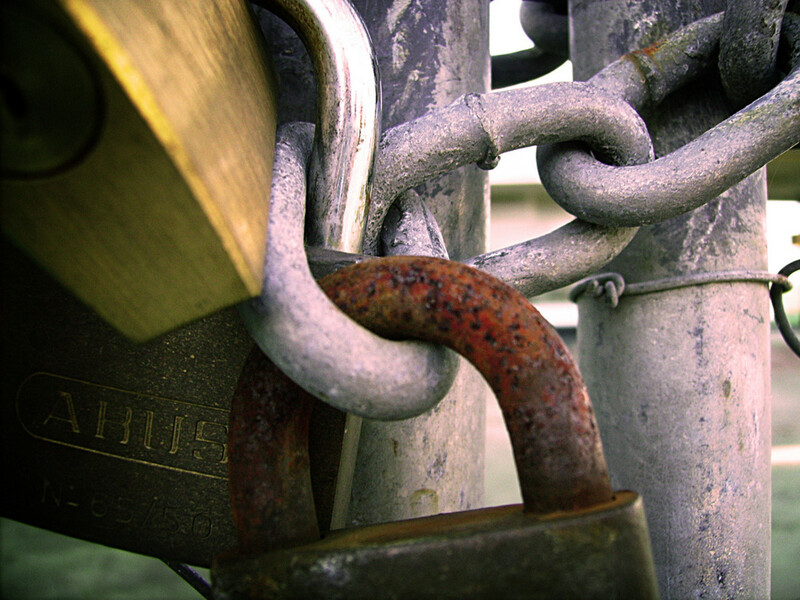 Protect your stuff! Seriously, I had never thought about this. Look around your house. How much stuff is on, or near the floor? A lot, right? Move as much of that stuff off the floor as you can. 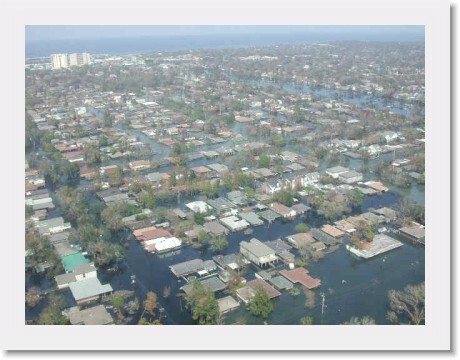 Try to minimize the potential damage from flood waters. Pile stuff in cabinets, on counters, on tables, on beds and on shelves in closets. Get as much of your stuff away from the floor as you can. Unplug everything!! I mean everything. Every single appliance, the computers, the television, anything that runs through an outlet in the wall. Disconnect your gas line, if you have one, (making sure to shut it off first). Doing these things will protect your belonging from flood damage, prevent possible fires and explosions, and protect your home from further damage. And don't forget to get your disaster kit ready. A good disaster kit should include everything you might need for about a week's time. Grill/ charcoal- Keep a small grill and charcoal on hand to cook up some food, if you have a gas grill, make sure the tank is full, and that you have a spare on hand. A small propane camping stove is an even better idea. Generator-- a portable generator is a great thing to have. You can run a few essentials, like your refrigerator or phone chargers. Make sure the generator has a full tank of gas, and that you have extra on hand. Flashlights/lanterns/candles-- I cannot stress the importance of this enough. It gets darker earlier now, and having light is vital. While candles can pose a danger if not watched, battery powered lanterns can provide a good amount of light. Batteries-- Again, make sure that you have batteries. Give your cell phones a good charge, keep an extra cell phone battery on hand as well. Make sure you have extra batteries for your flashlights, radios, etc. Cooking tools-- A few pots and pans, some cooking utensils, paper plates and plastic silverware are all good things to have. Save the water for drinking. Use paper plates so that you don't have to wash dishes. Tools-- Having a few basic tools on hand will help out a lot. You never know when you might need them. A screwdriver, hammer, etc. kept in a drawer or in your emergency kit could make all the difference. A Swiss Army knife, or multi-tool are also a great idea, because they have various tools built into one. Some even have a can opener. Important documents-- Keep your important documents in a waterproof case. In the event that you need to evacuate, you should keep your important documents with you. Food-- Again, make sure you have plenty of food. Canned goods and other non-perishable foods are your best bet. Look for things with minimal amounts of cooking or preparation. Crackers and chips, canned veggies, cereal bars, etc. Water-- Water is essential!! You should have 1 gallon of water, per person, per day, for about 5-7 days. Fill up jugs with water, fill up smaller bottles with water, and freeze them. They can function like ice packs to keep the water colder or keep the food in your fridge cold. Fill up your bathtub(s) with water for cooking, bathing, and flushing. Radio-- A NOAA weather radio is a lifeline to the outside world. Non-electric can opener--Some people may not even have one of these, but it's essential in a hurricane, where power can be knocked out for days. All those canned goods you bought aren't much use if you can't get the cans open. Blankets/pillows-- If you are forced from your home, you will want some comforts. Blankets and pillows and the such are very important to have. Full Tank of Gas-- Make sure that before a storm hits, you have a full tank of gas in your car. You may be forced to evacuate. 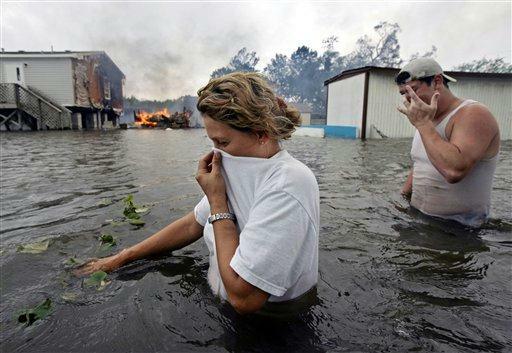 Clothing-- Keep a bag of clothes on hand in case you need to evacuate. Toiletries/medicine-- All those little things you will need. Any medication you are on, personal hygiene items, etc. Include baby wipes. They are useful for cleanups and when a bath or a shower is not available. Keys-- Don't forget to bring your keys with you!!! Toys/games, etc-- Keeping the little ones entertained without any power might be a difficult task, so bring along favorite toys, games, portable video games, etc. to keep them entertained. There is very little you need to do during the storm, other than stay calm, and wait it out. Staying calm is extremely important, though. You need to remain calm for your own sanity, as well as for your family. 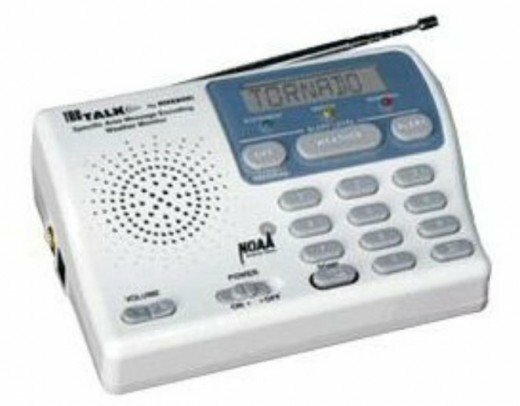 Listen to the weather radio in order to keep updated with current conditions, the path and strength of the storm, and any potential evacuation orders. Usually, if a storm is going to be rather strong, or you live in a flood-prone area, you will likely be forced to evacuate before the storm hits. If you are told you must evacuate, PLEASE listen to the order, and get out!! A mandatory evacuation is called mandatory for a reason. Nothing you own is worth losing your life. Like I said, if you don't have to evacuate, and you are riding the storm out at your home, the best thing you can do is stay calm, and find ways to pass the time. It is a common practice to have hurricane parties. Groups of people gather at one house and party until the hurricane passes. Games, food and a few drinks are a great way to pass the time during a hurricane. Make sure you have plenty of entertaining things for the kids, especially if the power goes out. Kids are so used to being plugged in to one electronic device or another, that it may get rather boring for them pretty quickly. Board games, coloring books, and a well charged handheld game console will save the day. 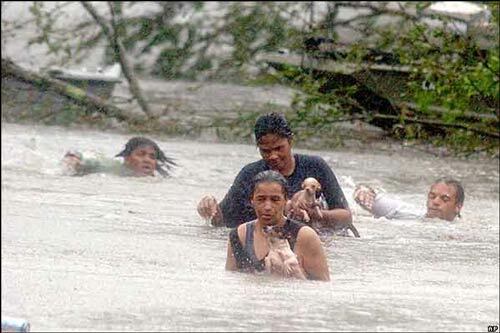 After the hurricane has passed, and the flood waters have receded, there is still a lot that needs to be done. You return to your home, in the event you have to evacuate, to assess the damage. How careful you were in your preparations may impact the state of your home upon return or inspection. Of course, some storms are a bit worse than others, and no amount of planning or preparation can prevent any and all damage. You may have some flood damage, some missing shingles on your roof, or a broken window that you forgot about. If you have tile in your home, clean up can be much easier. Removing water damaged carpet is smelly and messy. Depending on the amount of flooding and length of time water was on your floor, you may be able to just clean it up, and save the carpet. You will need some supplies for the clean up process, as well. You will need trash bags to dispose of any debris that has accumulated in your yard, as well as to get rid of anything that was damaged by flood waters or high winds. Be careful with broken glass, sweep it up and dump it into a paper bag instead of a plastic one. A carpet extractor or wet/dry vac can clean up lingering water in your home. Fans can further help dry everything out. A tarp and some rope can be handy for moving out larger items that were damaged, or for temporarily covering up roof damage. It may take a little time to get everything back to normal and replace items lost to the storm, but if you are careful, have a good plan, and take the time to prepare, you are going to be far better off than if you had done nothing. Think of the story of the grasshopper and the ant. The ant spent all summer preparing, storing food for winter, while the grasshopper did not. When winter came, the ant had plenty of food to get him through, while the grasshopper was starving and cold. Don't be the grasshopper. Pamela--It really is important. I must admit, I am not as prepared as I should be. We have had a few years with no major events here, and I guess I have gotten complacent. Working on changing that. It is kind of funny the things you think you need, and then you seem to forget things that you really need. Very important subject and you've really covered it well. I'm certainly no expert on the things to pack and not to pack, but we do try to have a 72-hour-emergency supply. We learned the importance of this from the first tsunami we endured in the Hawaiian Islands. As you've said in here, line ups get long for groceries, water and gasoline. I found it kind of funny -- the things I'd want to bring when there was suddenly a tsunami warning -- and the several important things I wouldn't think to bring. It is best to be prepared. HomerMCho-- Thank you so much!! With Tropical Storm Emily heading my way right now, I have revisited this hub, and reminding myself of all the things I still need to do. 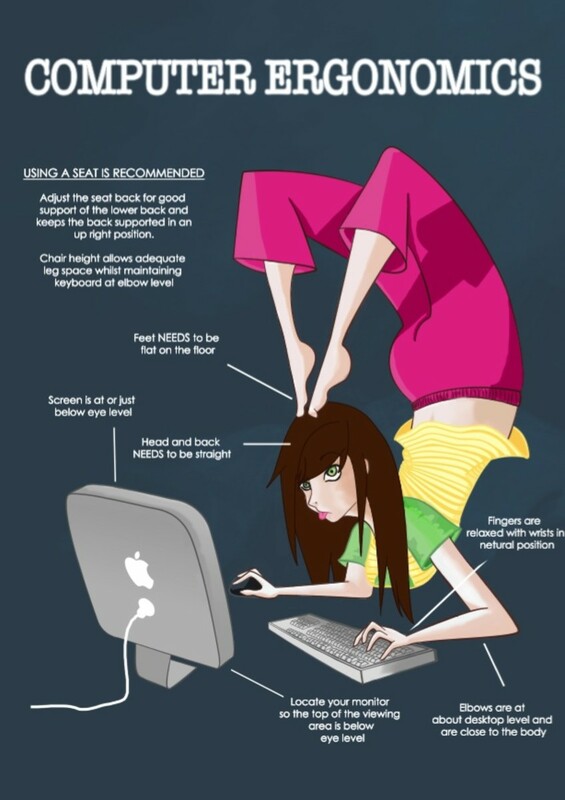 Useful Preparation tips. Great hub! kalto-- I know that hurricanes aren't as common up in the New England area as they are down here and near the Gulf Coast. Glad to see Earl down to a Cat. 1, though!! Best of luck! bayoulady-- Excellent tip!! Sometimes even getting clipped by the storm, and not directly hit, you can still get flooding, power outages and some damage!! Thank you!! Excellent! I live in northern LA, but some hurricanes are still wild 3 hours from the coast. When Gustave came, my parish had to close schools for a week because of no electricity,flooding and downed trees.So we get prepared as well. Ack! I don't like this season because of the hurricanes. Earl is supposed to be stopping by NJ but hurricanes usually bypass us so we'll see how that goes... Anyway, you've presented this information very clearly. Voted up and useful. Thanks! hafeezrm-- True, sometimes something happens that no one could ever be fully prepared for. Good informative hub. One can drastically reduce one's loss by taking all these precautions. But there is a Murphy's Law "If anything can go wrong, it will". Sometimes, a new situation crops up for which one is ill-prepared or many problems hit together and one feels under the legs of octopus. So one should take all safeguards as suggested by you and then pray to All Mighty for blessing. Best of luck weathering the storm...hopefully it won't be too bad! Good work, Anna Marie Bowman. Now I know exactly what to do when the storm comes my way.